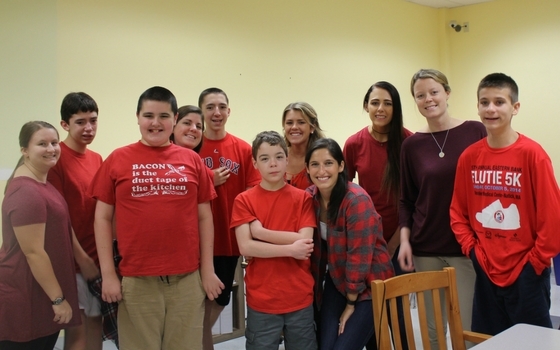 As the leaves start turning and the smell of pumpkin spice fills the air, Crossroads School, a 2016 Doug Flutie, Jr. Foundation grant recipient, is busy filling up their new classrooms and welcoming students, from 3 to 22 years old on the autism spectrum, to a new facility filled with new ideas and opportunities. Crossroads received funding from the Foundation to support the expansion of their Vocational Program, offering students ages 14-22 hands-on opportunities to learn skills necessary for employment as they transition into adulthood.Our funding is helping launch two new businesses, t-shirt printing and a craft shop, as well as expand the school store, where students will gain experience with production, packaging and customer service. This process of training students in a simulated and comfortable work environment ensures that the skills they are learning can translate well into careers outside of the school. Partnering with local businesses to help students train and build on their vocational skills, Crossroads is affording students the opportunity to find fulfilling careers for their next journey into adulthood and employers the assurance that they can hire with confidence. These businesses are all launching at Crossroads’ brand new facility in Marlborough, MA, which is twice the size of their original space in Natick. We send our heartfelt congratulations as they embark on their new adventure and wish them continued success in promoting adult independence and helping their students live life to the fullest! 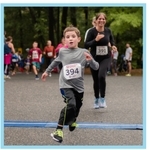 Still Time to Register for the Flutie 5K on Oct. 1st!